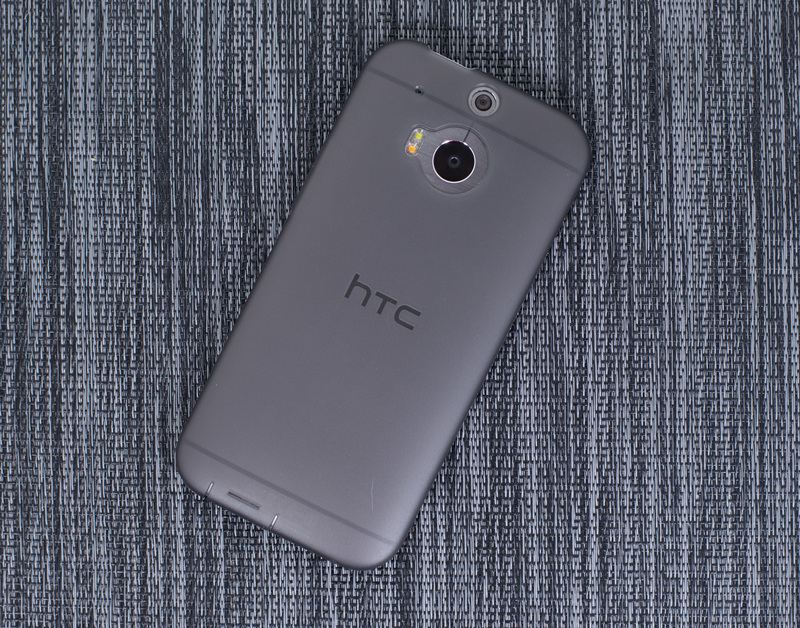 HTC remains one of few Android OEMs insanely focused on design. Even dating back to the origins of the One brand in 2012 with the One X and One S, HTC clearly saw design where others were more focused on cost optimization. Only time will tell which is the more viable long term business strategy, but in the interim we’ve seen two generations of well crafted devices from what would otherwise be thought of as a highly unlikely source. With its roots in the ODM/OEM space, HTC is one of very few ODM turned retail success stories that we’ve seen come out of Taiwan. ASUS is the closest and only real comparison I can make. As its name implies, the goal of the One brand was to have a device that anyone, anywhere in the world could ask for and know they were getting an excellent experience. Although HTC sort of flubbed the original intent by introducing multiple derivatives (One X, One S, One X+), it was the beginning of relief from the sort of Android OEM spaghetti we saw not too long ago. 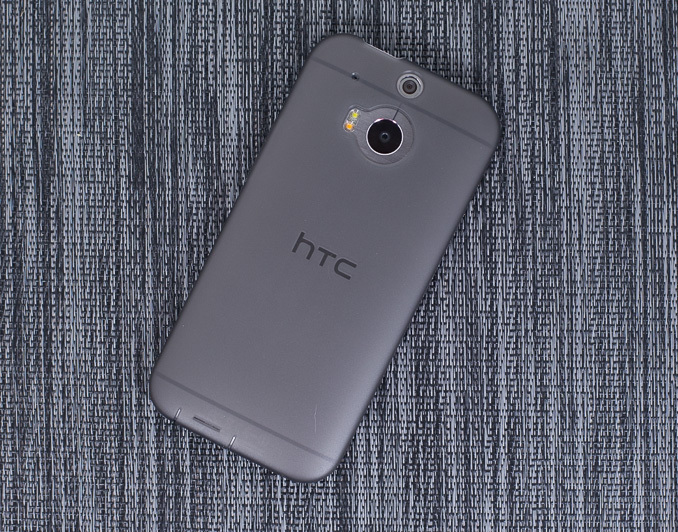 With the One brand, HTC brought focus to its product line. Last year HTC took a significant step towards evolving the brand into one true flagship device, aptly named the One. Once again there were derivatives (One mini and One max), but the messaging was far less confusing this time around. If you wanted small you got the mini, if you wanted big you got the max, otherwise all you needed to ask for was the One. With last year’s One (codenamed M7), HTC was incredibly ambitious. Embracing a nearly all metal design and opting for a much lower resolution, but larger format rear camera sensor, the One was not only bold but quite costly to make. With the premium smartphone market dominated by Apple and Samsung, and the rest of the world headed to lower cost devices, it was a risky proposition. From a product standpoint, I’d consider the M7 One a success. A year ago I found myself calling it the best Android phone I’d ever used. It didn’t take long for my obsession to shift to the Moto X, and then the Nexus 5, although neither delivered the overall camera experience of the One. Neither device came close to equaling HTC on the design front either, although I maintain Motorola did a great job with in hand feel. Although I found myself moving to newer devices since my time with the One last year, anytime I picked up the old M7 I was quickly reminded that HTC built a device unlike any other in the Android space. It just needed a refresh. It’s taller and slightly wider than last year’s model (with a correspondingly larger 5” 1080p display), but all at roughly the same thickness. The all metal chassis is back, but with more metal. 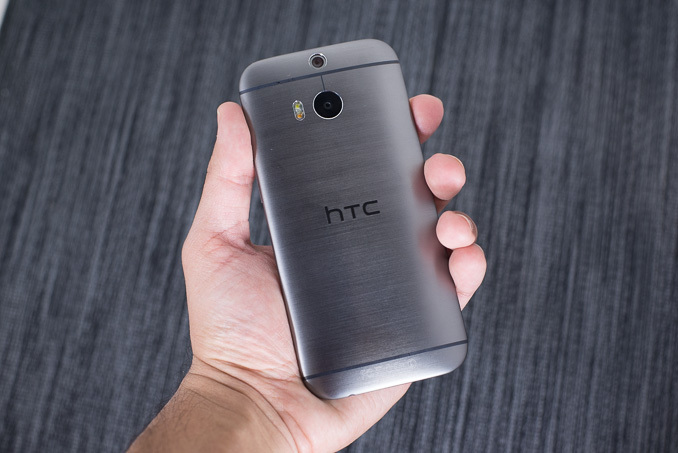 If you remove the display and internals, HTC claims the M8 chassis is now 90% metal compared to 70% with the M7. There is a weight impact, but the M8 never feels heavy at 160 grams. The plastic ring around the M7 is gone, replaced with a single piece of aluminum that curves around the body. With the exception of a strip along the top edge, BoomSound speaker grills and some narrow strips on the back for antennas, the M8 is all metal. The M8’s surface is a bit smoother than the M7, and there’s now a nice horizontal brushed effect in the gunmetal gray finish. The device is still every bit as wonderful to hold as its predecessor. The design is different, and overall I’d consider it better. For those who care about material feel and design it’s clearly a level above what you see on the market at this price point. The device will be available in three different colors: Gunmetal Gray (what I was sampled), Glacial Silver and Amber Gold. HTC also ditched the two fixed capacitive buttons, which was a pain point for some with the M7. Instead we have up to four on-screen buttons at the bottom of the display: back, home, multitasking, and menu as appropriate. There’s a faster (and more power efficient SoC), a larger battery, and a higher resolution front facing camera. BoomSound gets a new amp and better sounding speakers, there's also a new dual color flash and a well integrated micro SD card slot (one that doesn't require a removable back). If you were pleased with last year’s One, chances are that you’ll be very happy with this one. If, however, you weren’t totally sold on the M7’s 4MP UltraPixel camera there’s a bit of bad news. The story of last year’s One revolved around HTC’s decision to use a larger format 4MP camera sensor instead of moving to a higher megapixel sensor with smaller pixels. It was a polarizing tradeoff, but one that was somewhat validated by Apple with its choice of maintaining resolution but increasing pixel/sensor size with the 5s. The most obvious fix for those who had issues with the lack of spatial resolution with last year’s One would be to go to a higher resolution sensor, without going as far as Samsung and LG. Unfortunately, without the buying power of a company like Apple, HTC is left to pick from those sensors that are more widely available. In other words, options are limited. The solution this round was to keep the rear sensor from the M7 (without OIS), and augment it with another rear facing camera module. I’ll get to the use of the second sensor in a bit, but ultimately that’s the going to be the biggest friction point with the new One. Those customers who were happy with the M7’s camera will be pleased this round, but those who wanted a slight bump in spatial resolution will be left wanting more. 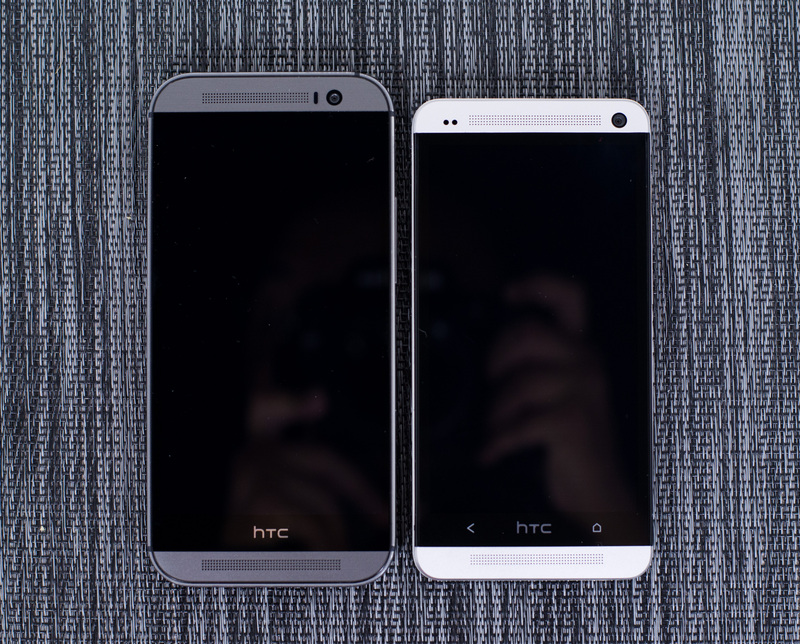 I’m aware of seven different M8 SKUs launching today. 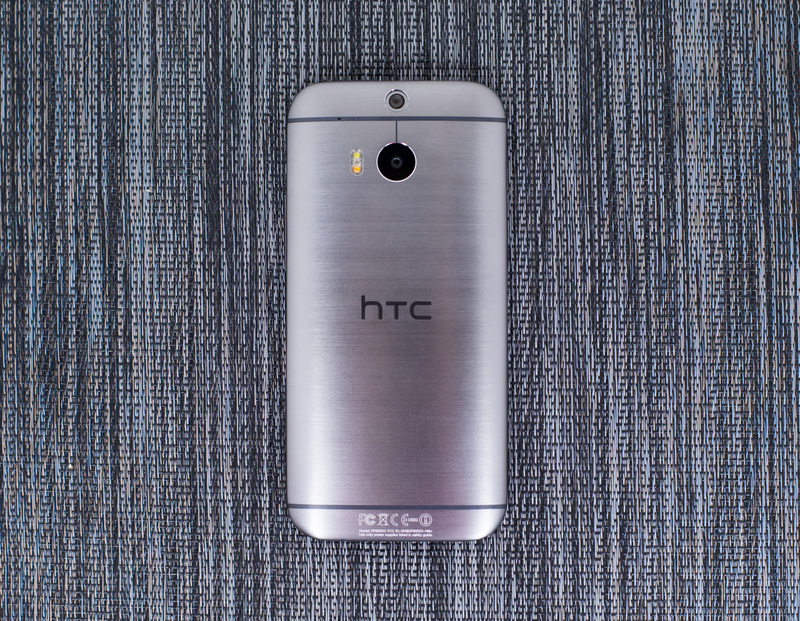 In the US, AT&T, T-Mobile, Sprint and Verizon are all getting the new HTC One. Verizon had immediate availability in stores 2 hours after launch, while AT&T and Sprint were available online the same day. All three operators should have devices by April 11th. 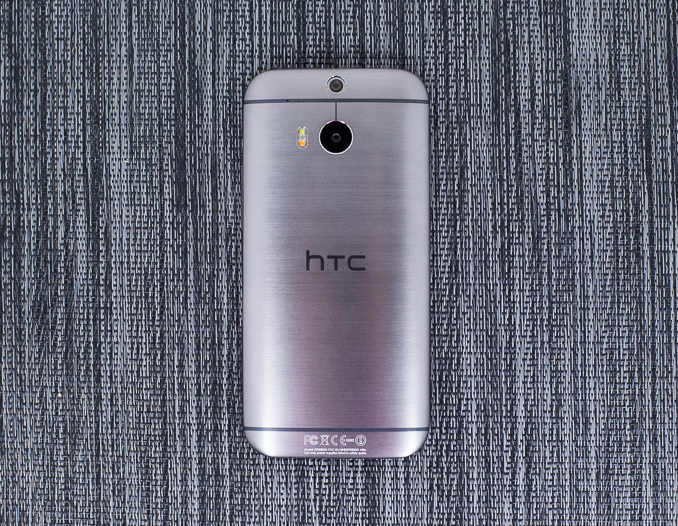 T-Mobile is the exception as it won’t have the M8 in stores until next month. Google will be taking preorders for the Google Play Edition of the new One today. Despite shipping with GPE Android, HTC claims the GPE M8 will support Duo Cam via HTC’s APIs (perhaps via a modified AOSP camera app?). As far as I can tell only the AT&T and Google Play Edition SKUs support carrier aggregation. The two SKUs are quite similar from a cellular standpoint, with the AT&T model locking out UMTS band 4 to discourage movement to T-Mobile. With the exception of the Sprint SKU, all of the remaining M8 SKUs feature Qualcomm’s QFE11xx envelop power tracker. In addition, all SKUs with the exception of the T-Mobile and Sprint devices use Qualcomm’s QFE15xx antenna matching tuner. 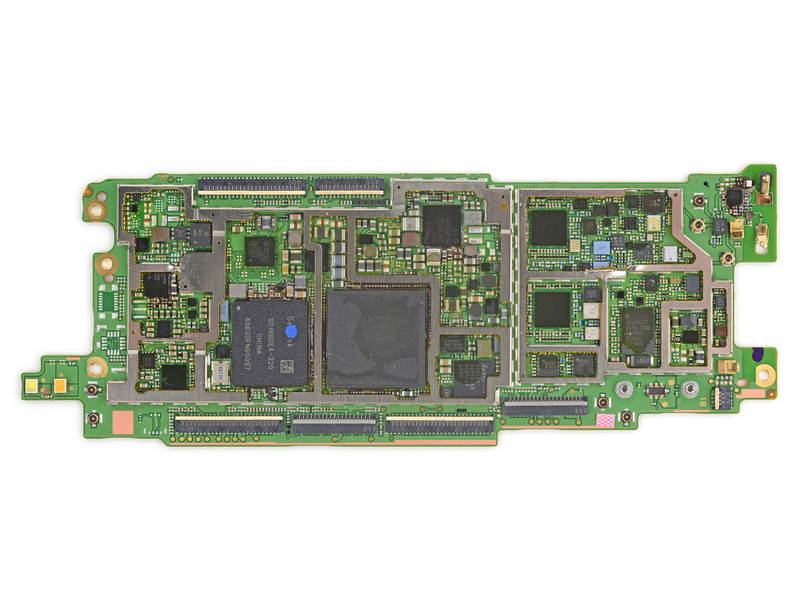 None of the M8s use the CMOS power amps and it’s still too early for the rest of Qualcomm’s RF360 platform. Unfortunately this present refresh comes a little too early for Qualcomm’s next-generation Category 6 LTE 9x35 modem. Launching with immediate availability in the US and UK, with other regions following in the coming weeks, is an incredibly difficult feat to pull off. It also helps explain why there were so many leaks leading up to today’s launch. The real trick is timing launch availability and sampling so you don’t have operator partners spoiling your launch, but that’s a challenge for another day. Inside the One’s box you’ll find the usual suspects: earbuds, USB cable and charger. New this round is you’ll find a simple case in your box. The included case is a no frills design, but it’s awesome to find something like that in the box these days. HTC will gladly sell you one of their Double Dip, Flip or new Dot View cases. The former now includes two sets of top/bottom colors with each case. The Dot View case is interesting as it enables some glance usage models, but without an AMOLED display I’m curious about the power impact. Btw, I am referring to the rear camera. HTC did a really awesome job by putting the power button on the top on a phone this tall. They should have gone with capacitive buttons IMO. Atleast you wouldn't have to stare at the logo.